I posted this over at Academic Advancement a while ago. It's such a got topic, I wanted to post it here too. For some reason I rarely blog about my job. I am a child development specialist in early intervention which means I work with children ages birth-3 with developmental delays and disabilities. Discipline is always a hot topic. No matter whether it's a 2 year old, 10 year old, or 25 year old, the principles are the same. 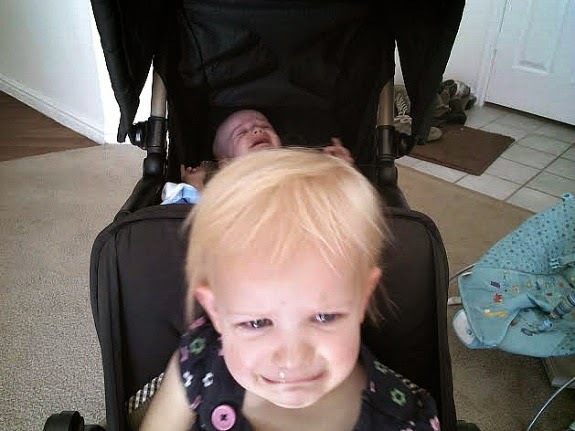 image credit olive the things Crying kids are no fun, but what are you supposed to do about it? A lot of people think timeout is the answer. I don't think timeout is bad or wrong, but it's not necessarily the answer. It just doesn't seem to work much of the time. Being consistent is probably the most important and hardest part of discipline. Consistency is my number one tip to dealing with behaviors. Here are the top 5 tips for being consistent and handling discipline. 1. Ask 2 times and then help. If you ask your child twice to do something, and they don't do it, it's time to jump in and help. They will learn you are consistent and will be more likely to follow your directions. 2. Avoid empty threats. If you are not prepared to follow through on the threat to take away electronics for an entire month, avoid saying it. Children will believe you when you follow through. 3. Use positive reinforcement and rewards. Children crave attention and praise. When they get this attention for doing good things, they are less likely to seek attention by doing inappropriate things. 4. Ignore negative behaviors. If children do not get attention for certain things, they will eventually stop the behavior. It takes time and consistency, but it does work. 5. Beware of negotiation. Children are master negotiators. They try any and everything to get what they want unless they realize it won't work. All these tips come right back to consistency. It really is key. Easier said than done right? PS..i'm over at and here's to you mrs robinson sharing a fun, easy craft for kids. 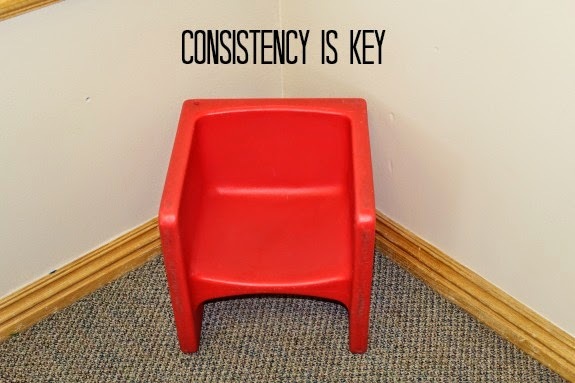 Consistency is for sure the key. Unfortunately some people don't understand that it takes time and consistency to shape behaviors, or distinguish bad behaviors.